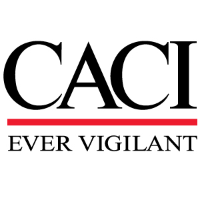 CACI is seeking a Field Service Representative (FSR / FEL) to support the Mission Command Global Fielding at Fort Hood, TX. Plans and perform installation, test, preventive maintenance, troubleshooting, and repair for communications equipment and electronics equipment. Plans and conducts training in both formal classroom and field environments on assigned Mission Command systems to warfighter and customers IAW approved POIs and training materials. Conduct and Oversee execution of New Equipment Fielding Events. Responsible to manage and account for inventory of Government Furnished Equipment (GFE). Possess a thorough knowledge and experience with Army Mission Command Systems (AMCS) such as Command Post of the Future (CPOF), JBC-P or FSC2 Fires systems.